Home About UKRO Medical Scientific Advisory Board Robert Rick Selby, M.D. Robert Rick Selby, M.D. is a tenured Professor of Surgery at Keck USC School of Medicine in Los Angeles. He is Chief of the Division of Hepato-Biliary-Pancreatic Surgery and Abdominal Organ Transplantation. 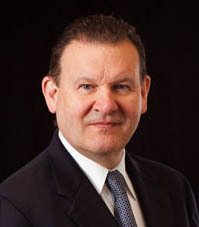 Dr. Selby received his medical degree from University of Missouri-Columbia in 1979. He did two years of residency in Internal Medicine and completed a five-year surgical residency at Good Samaritan Hospital in Phoenix, Arizona. He then did a fellowship in Multi-Organ transplantation at the University of Pittsburgh with Dr. Thomas Starzl. He also completed his training in surgical critical care and is separately boarded in both general surgery and surgical critical care with a certificate of advanced training in multi-organ transplantation and hepato-biliary and pancreatic surgery. He came to Los Angeles in 1995 and started the liver and kidney–pancreas transplant programs at USC University Hospital and also started the liver transplant program at Childrens’ Hospital Los Angeles (CHLA). Both have become thriving programs over the last 15 years. Dr. Selby has a large academic practice in hepato-biliary-pancreatic surgery, is responsible for training residents and has an active fellowship in HPB surgery. His service maintains a tissue and fluid repository from operative specimens for the last 10 years. He participates in many clinical trials, publishes widely, and manages large cohorts of outpatients with primary and metastatic malignancy.